Mr. Waits traveled to New Orleans in 2009 to record two songs with the Preservation Hall Jazz Band for the critically acclaimed project Preservation: An album to benefit Preservation Hall and the Preservation Hall Music Outreach Program, “Tootie Ma Was A Big Fine Thing” , and “Corrine Died On The Battlefield”. Originally recorded by Danny Barker in 1947, these two selections are the earliest known recorded examples of Mardi Gras Indian chants. 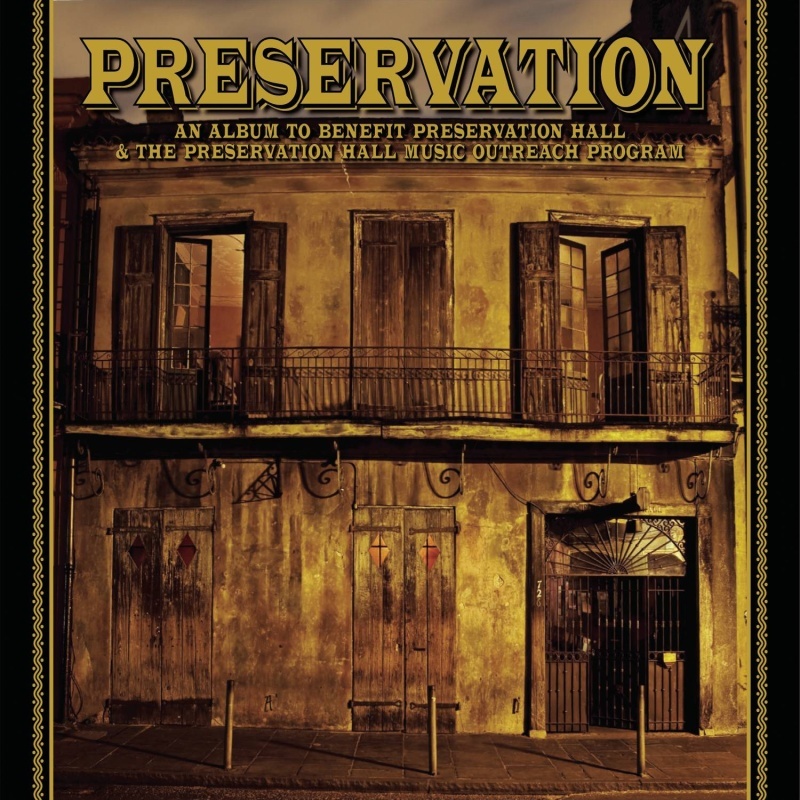 The two tracks will now be packaged in a special limited edition 78 rpm format record, each signed and numbered by Preservation Hall Creative Director Ben Jaffe. The first one hundred records will be accompanied by a custom-made Preservation Hall 78rpm record player as part of a Deluxe Donation package. The remaining four hundred and four will be available as a standalone record for the Basic Donation package.